David had confidence. He was brimming with it. But it wasn’t self confidence it was confidence in the ability and faithfulness of Lord to come through for him and to be his strong Deliver in any situation. This is evident time and time again throughout David’s life story in the Old Testament. It wasn’t himself David believed in it was God. Now king, David attributed all of it to God, his Strength, Rock, Fortress, Deliverer, Support, Refuge, Shield, Horn and Stronghold. The longing of David’s heart was to spend his life in the presence of God. He had a devoted heart. It was in this place that God was able to teach his pliable heart strength and confidence. This kind of confidence enables the most ordinary man or woman to be extraordinary, because it isn’t our own strength we have confidence in, it’s the Lord’s, and He cannot be shaken! Who remembers that moment in the movie Grease where Sandy sings to Danny, “Hopelessly devoted to you”? The lyrics express her heartbreak at how she can do nothing else but sit around and wait for him – even though he pushed her love aside, because she’s hopelessly devoted to him. Why? Because He sees the devotion of your heart, hears your cry, and returns your devotion a hundred-fold! His Word stands the test of time and all His promises are faithful and true. So why would we want to even try to go it alone? Whatever sort of day, week or month you are having, whether you’re in the deepest valley or highest mountain top, the Lord your God is your source of strength. It’s in His presence that you will find your strength and peace. Hey Jill, thank you so much for this post, you have no idea how much this post uplifted and encouraged me today, I needed to be reminded more than ever that God is my confidence, I was in tears as I read this post, God really used you to shake my heart to remind me of this again. This will be in my heart as I live life this week. Thanks so much again, take care and may God bless you beyond measure! Aw, and I’m so encouraged to know that Adam. Isn’t it amazing how God does that? Be very blessed this week as you continue to draw near to Him. I just love the way you unpack the scriptures Jill and I so enjoy reading your blog posts. They are like little suitcases that you carefully fill up with treasures from the Bible and then come into my living room and slowly take out each treasure and go “look at this one” and the proceed to wow me with the story behind that particular gem💎 and what it means for me. 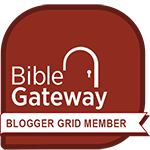 Having come from an ultra conservative church background, and having never really understood how God loves me, I am learning through reading your blog (which I use as a platform for further studies) to see God in a whole new way! Nancy that is one of the most beautifully written comments a blogger/writer could receive. Thank you for your lovely words. I looks as though you, yourself have a flare for writing! Without meaning to brush aside your very kind compliments, can I say though that with the Holy Spirit, “who leads us into all truth” that “suitcase of treasures” is freely available to every Christian, along with the ability to unpack it and gain understanding. If you’re looking for Him, that’s where you’ll really meet with Him – between the pages and lines and in the written words of the Bible, His great Love story.